When the Backstreet Boys released Black & Blue 15 years ago on November 21, 2000, they were at the height of their boy-band powers: The record sold a staggering 1.6 million copies in its first week in the U.S.—their second straight album to break the million-selling threshold, with the first being 1999’s Millennium—and an even more impressive 5 million copies worldwide. Fittingly, to promote the album, the group launched a Round The World In 100 Hours tour, which found them visiting Stockholm, Sweden; Tokyo, Japan; Sydney, Australia; Cape Town, South Africa; New York City; and Rio. To achieve this time zone-defying trek, the band had a branded 757 plane emblazoned with their logo. Naturally, it was fancy: “This is like a mansion that flies,” Backstreet Boys bad boy A.J. McLean noted in a clip from 2001’s Around The World DVD—after all, the chartered plane had magazines, a stereo and TV, a gourmet chef, king-sized beds, and even a shower. This whirlwind tour illustrated the utter madness that followed Backstreet Boys around at that time. The scene in Rio was particularly insane: Packs of fans went running after a bus carrying the ’Boys, eventually swarming around it and nearly stampeding to get near the band. To placate the 48,000 people that showed up to greet them downtown, the group later did a 30 to 40 minute concert. In May 2001, the band’s first network TV special, Backstreet Boys: Larger Than Life, also referenced this 100-hour adventure, but mainly focused on a Staples Center concert full of hits, screaming fans, and painfully 2001 fashion (vinyl trench coats, sparkling white suits). All good things come to an end, however: Mere weeks after the special aired, the band postponed a batch of concerts due to A.J. McLean’s rehab for clinical depression. 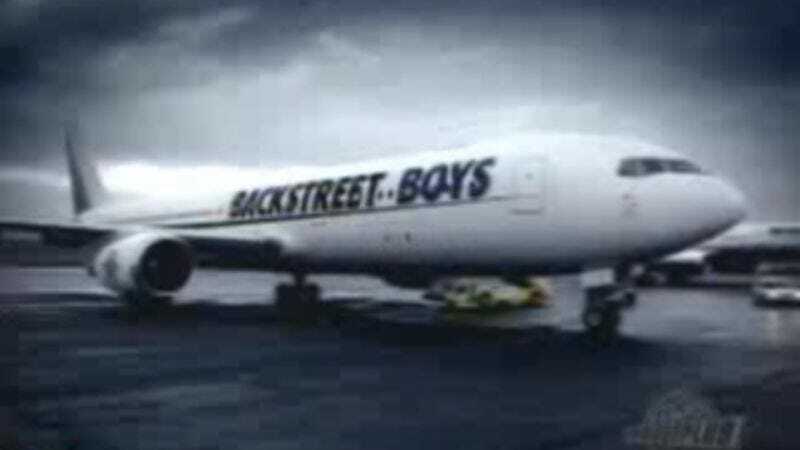 The tour eventually continued, but Backstreet Boys’ commercial fortunes were never quite the same in the U.S., leaving this video evidence of the chaos as the best evidence of their popularity.